Owner of MommyDaddyKids and mother of two, Meagan is passionate about her family and sharing real-life advice with everyday people. If you've never decorated pumpkins before, it's time to get in on the action. Seeing bright, orange blobs littering fields of yellowing leaves is enough to make millions spring into Halloween mode. Year after year, pumpkins help families share time together and create new memories. 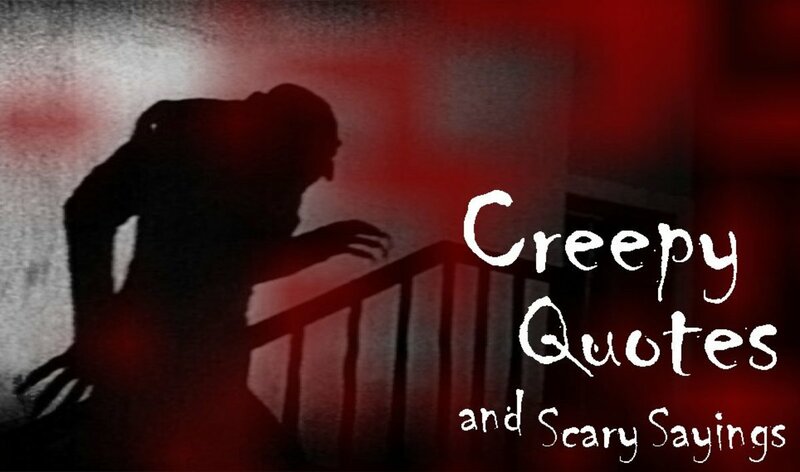 You don't have to go to the extreme that some people do, nor do you have to enter any decorating contests this year. However, if you would like to find a fun way to spend an afternoon with your family this autumn season, pumpkins might be your answer. Grab a giant gourd and try one of these amazing decorating ideas today. 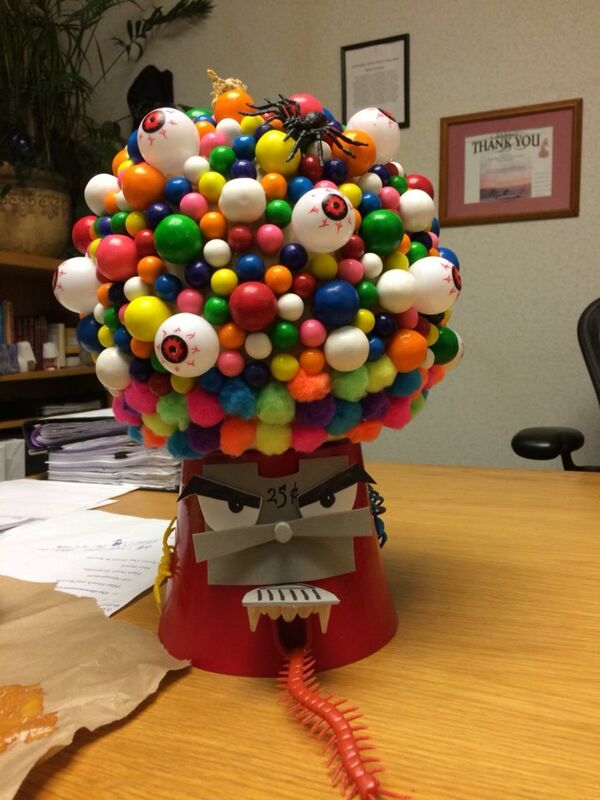 Make the base of your gumball machine. You can use cardboard, a red pail turned upside down or anything that will hold the weight of your pumpkin. 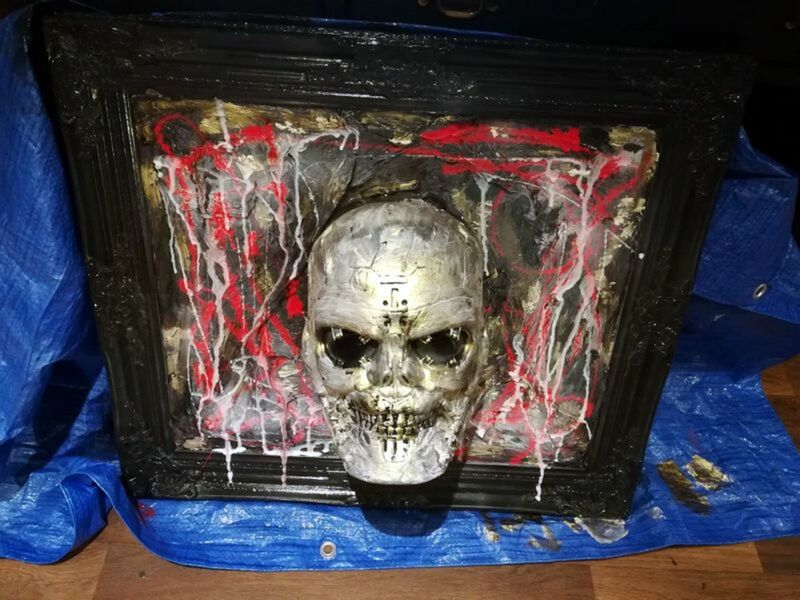 Paint it red and add the decorations. Spread or paint glue onto a section of the pumpkin. If you're using Pom-Poms, regular school glue should work, but for heavier items like gumballs, you may want to use a hot-glue gun. Stick your decorations to the pumpkin. Allow time for the glue to dry. Place your dried pumpkin on top of the base you made earlier. Add final touches such as bugs or spider web. Before you start adding decorations, you may want to paint your pumpkin a different color. Although, this is optional and will still look amazing without being painted. Cut a triangle from a piece of felt or construction paper and set it aside for later. This will be your owl's beak. Glue the yellow, plastic fork to the bottom of your pumpkin. These are your owl's talons. 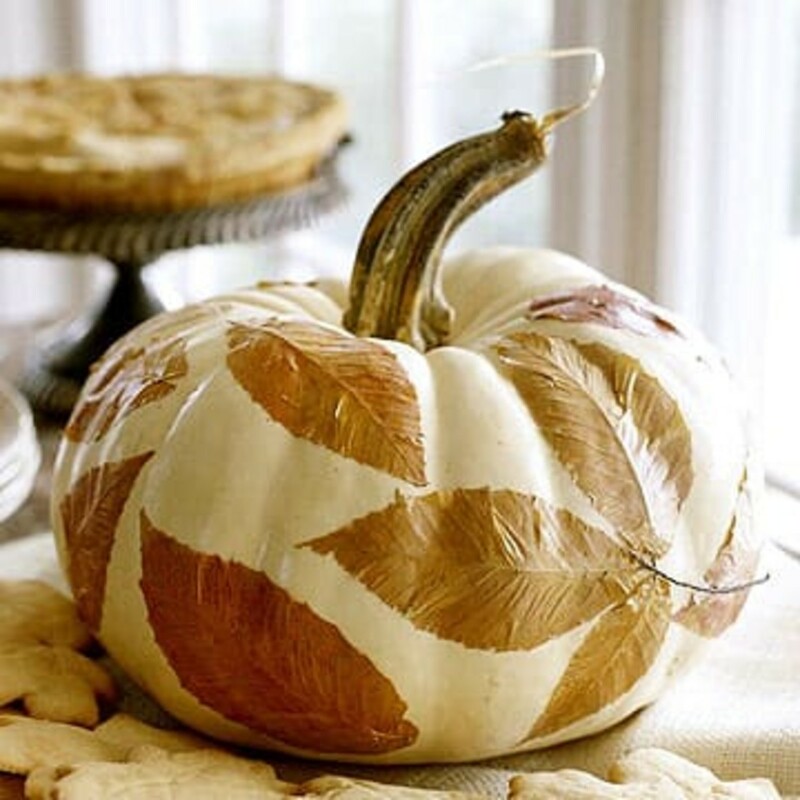 Tape or glue the leaves to either side of your pumpkin. These are your owl's wings. 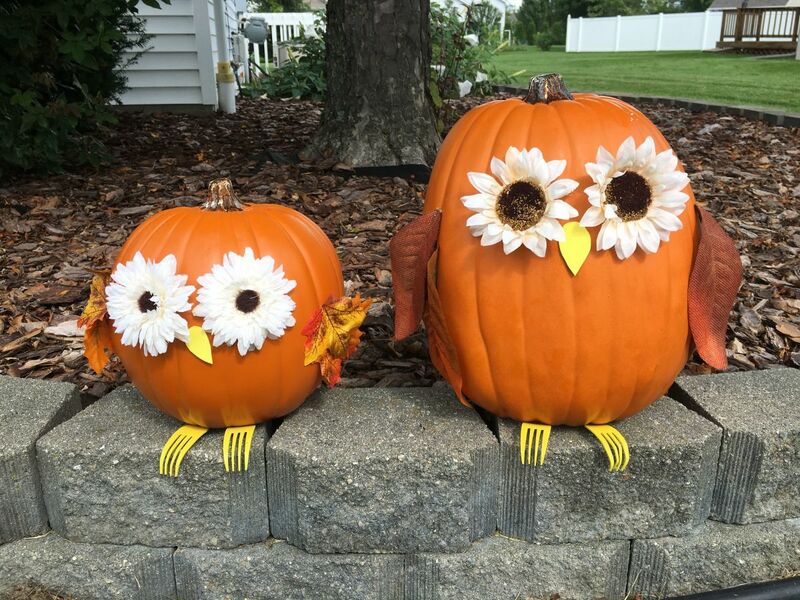 Glue the flowers to the front of your pumpkin in the place where your owl's eyes should be. 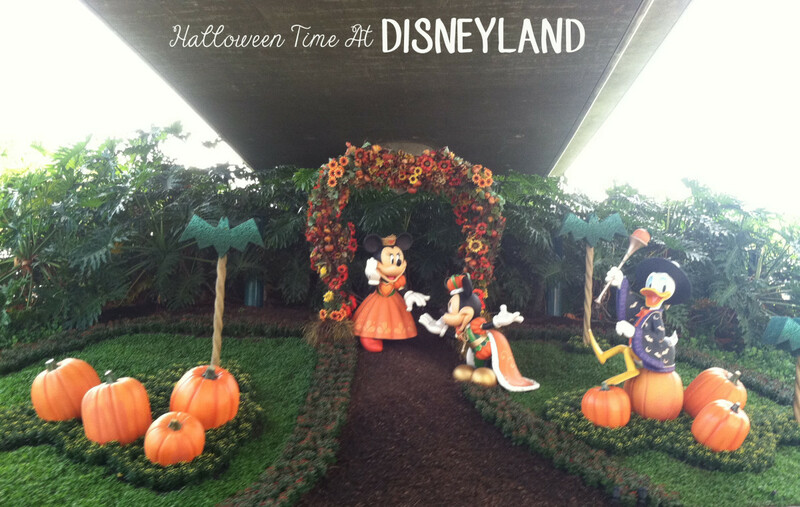 If you think the fake flowers are too heavy to glue on securely, you can poke the stem into the pumpkin instead. Glue his beak in place. This activity is a lot of fun but should be performed with adult supervision. 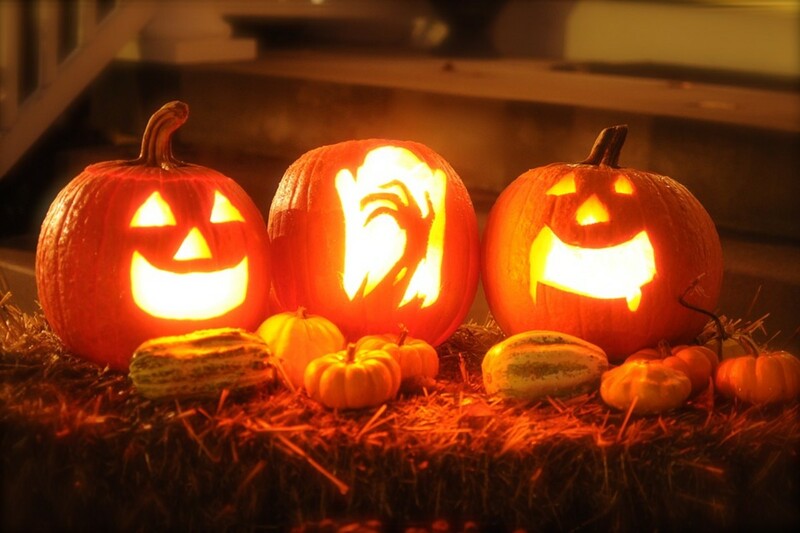 Children can gather the leaves and trace them onto the pumpkin, but adults should handle the etching. Gather leaves. You may use any shape or size, but they should be fresh. Dry leaves have a tendency to crumble during the tracing portion of this craft. Tape the leave to the outside of the pumpkin. Cut along the traced line. Be careful not to cut the entire way through the pumpkin. The knife should only go about halfway through the pumpkin's outer shell. Scrape away the outside layer, inside the lines you traced. Remember, your intention is not to carve a leaf shape in the pumpkin. Instead, you want to scrape the shape into the pumpkin. When you're finished, you should not be able to see the inside of the gourd through any part of the leaf design. 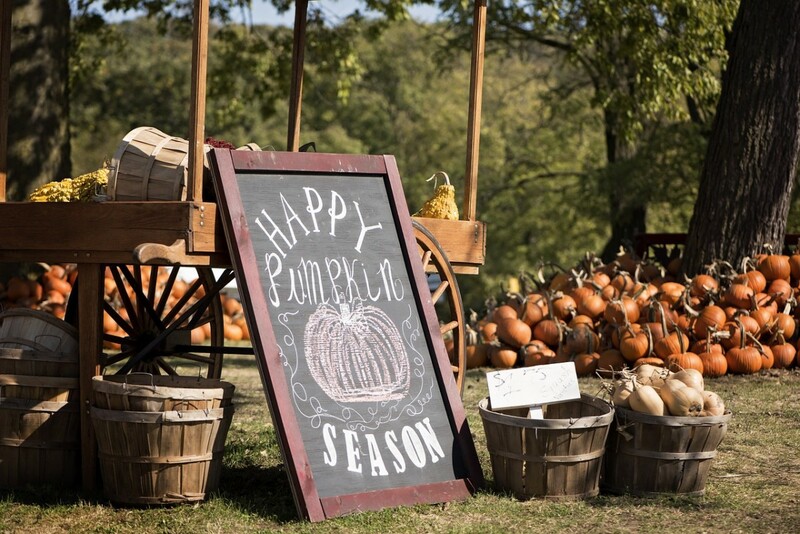 Nothing says "fall" better than pumpkins and brightly colored leaves. Now you can combine both things. 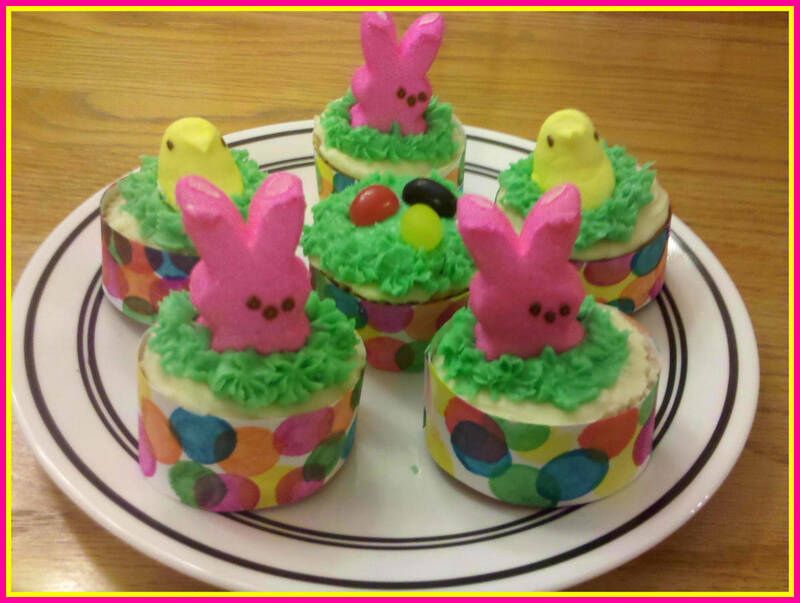 This is a great no-carve idea to do with young kids, or an easy center piece for adults to make in a hurry. Some people like to keep their leaves naturally colored to capture a real Autumn feeling. 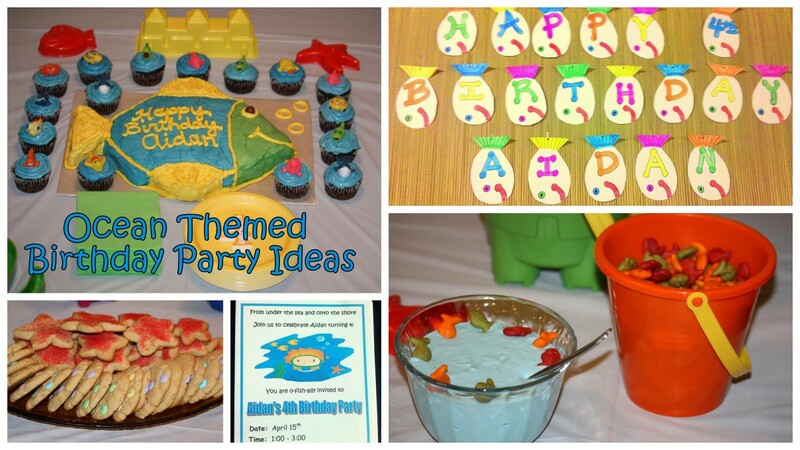 Others like to go with a more modern approach and use a two-toned color theme. If you decide to paint your pumpkin and leaves, you need to paint ahead of time and allow it to dry before trying to glue your leaves on. 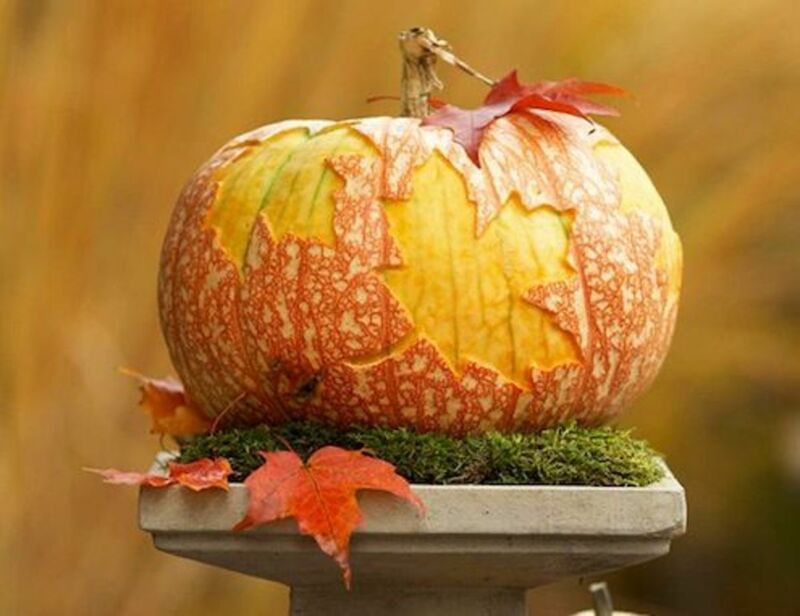 Attach the leaves to the pumpkin with glue, or a clear coating. This design is simple and doesn't require many supplies. 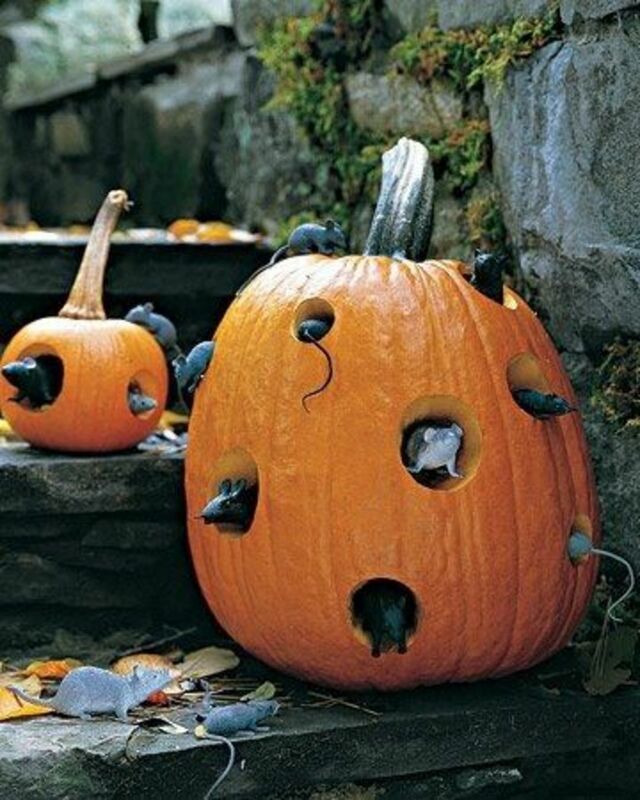 To make a mouse-house decoration, you need to bore different sized holes throughout the gourd. Place the toy mice in various positions within the holes. If you want to add an eerie feel, you can hollow out the pumpkin and light a candle in it. The light will shine through the holes and illuminate the mice. Creepy. Paint both pumpkins entirely white and allow the paint to dry. Trace a circle in the middle of the pumpkin, or free hand the design. 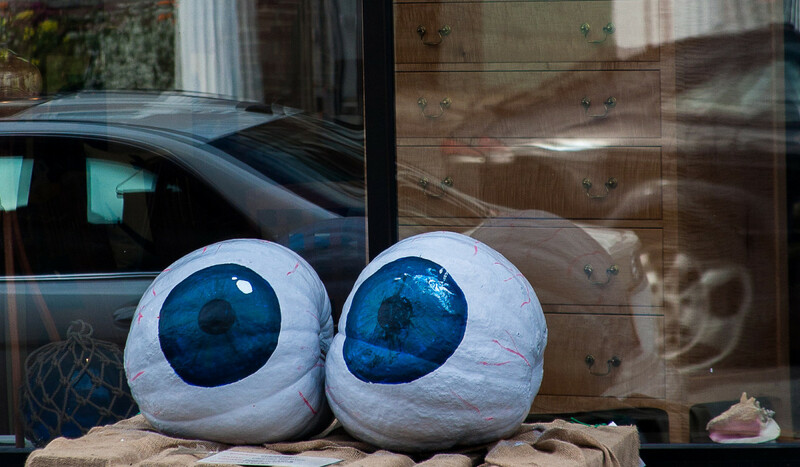 Paint eyes onto the pumpkins. Paint small red lines to look like veins. This will give it a more realistic look. Optionally, you could add a nose and even a mouth. 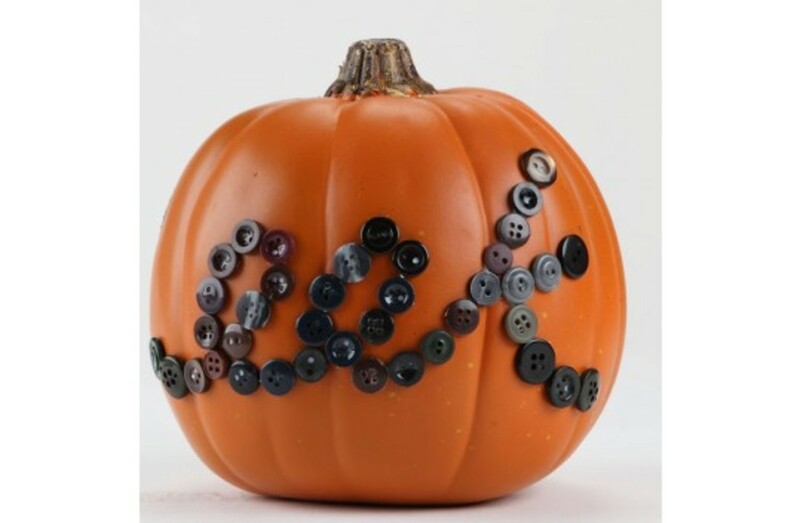 Write the word or words onto the pumpkin with a light colored marker or pen. Apply glue to the lettering. Place your buttons onto the letters one-by-one. You should be able to clearly read what it says when it's finished. The finished result looks much better if you use buttons of all one color. If you use a second color, use it sparingly. Black and orange work well for this craft. If your buttons are too lightly colored, it will not show up on the pumpkin. Additionally, if you use a variety of colors, it may be hard to read the word because it might blend into the pumpkin. Dark colors work the best. Hollow out the pumpkin and carve a face into the front of it. 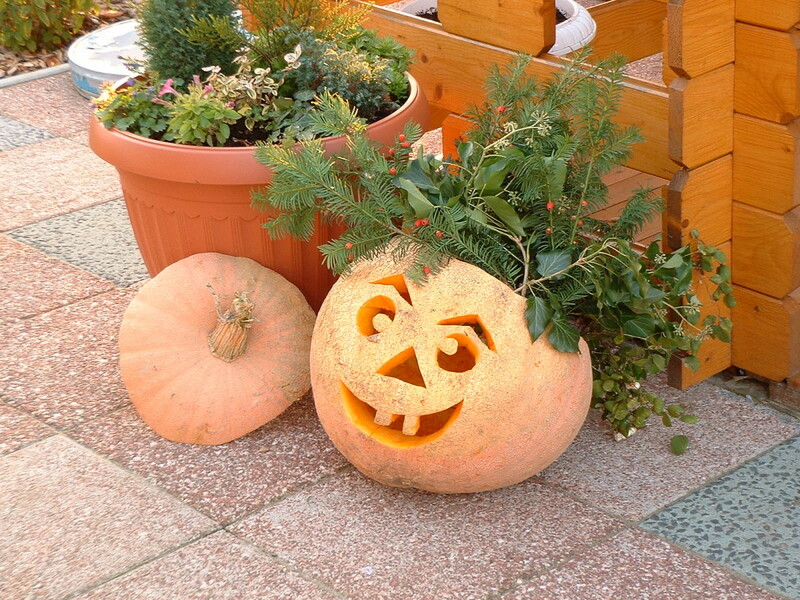 Make sure the hole in the top of the pumpkin is as large as the pot the plant is in. Put the entire plant into the pumpkin. Optionally, instead of filling it with a potted plant, you can find brush and flowers to stick into the top of the pumpkin. This is a fantastic way for people to pass out candy without having to remain at home. It's also a great idea for anyone who would rather not have to keep answering the door. Instead of turning off your lights, and getting your house toilet-papered, leave one of these on the front porch. Lollipops or candy glued onto sticks. Carve the pumpkin however you would like it to look. 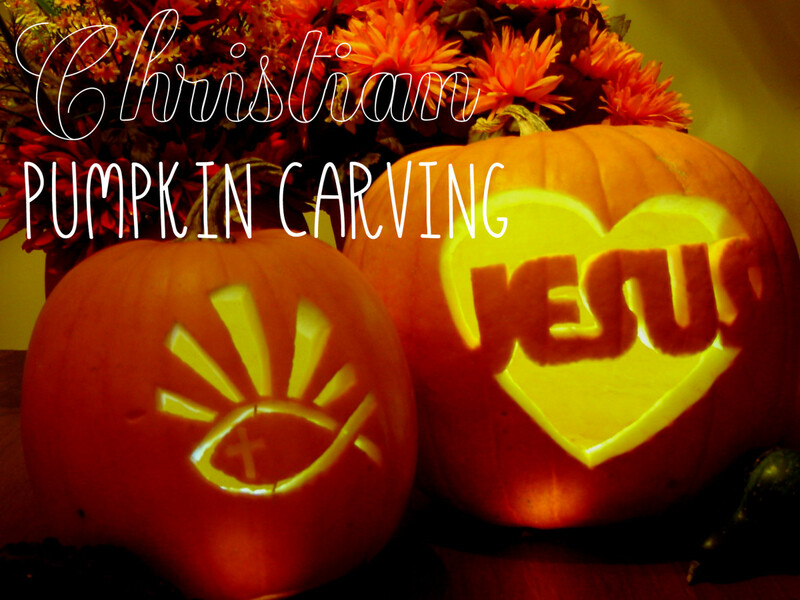 Once you've finished carving, replace the top of the gourd. 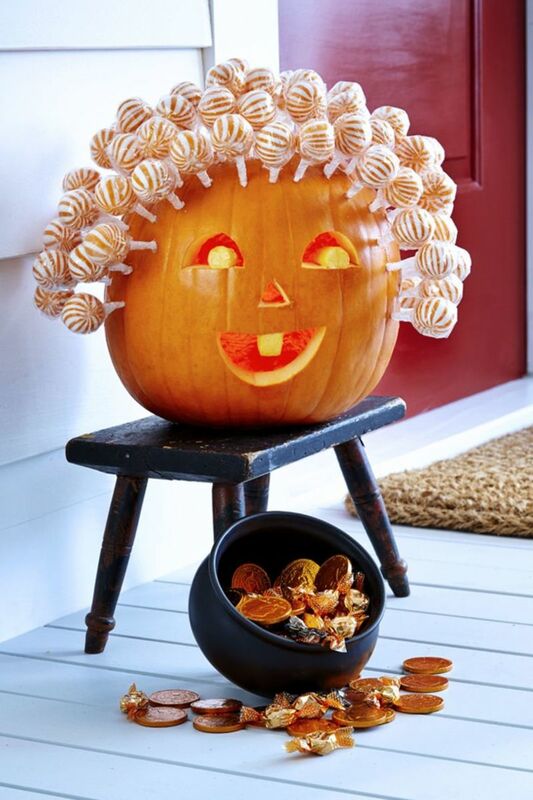 Stick the candy into the top of the pumpkin in a way that resembles hair. Carve a silly face into the front. 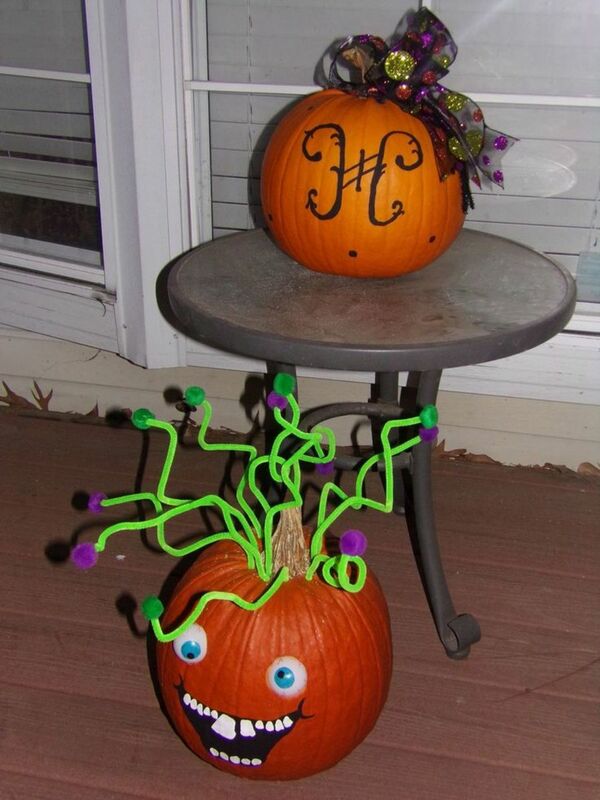 Stick the pipe cleaners into the top of your pumpkin. Bend or twist the pipe cleaners to make them look like crazy hair.